Introducing ‘Leap!’, a new workshop teaching you the art of conscious Quantum Jumping’. If this is true (and it is! ), this means that anything you ever wanted is potentially present right this minute. All you have to do to access it is to switch into the reality it resides in. Which is of course the part that trips us up. Our see-it, hear-it, smell-it, touch-it surroundings are just SO convincing. But despite what your eyes tell you, as an Alchemist, a Healer, an Artist, a Wayshower, you are meant to consciously create. You are wired this way! It’s in fact one of the main reasons you incarnated. To expand creation right from this leading edge. To be able to do that, we’ve got to leave our limited 3D understanding of how things work behind. Time is no longer linear once you step into 5D. In fact, time doesn’t exist at all :), Which means that you can quantum shift in any moment. Which is what ‘Leap’ is all about. In 60 minutes, I’ll walk you through the process of shifting into a new reality, NOW! Do yourself a favour and do this workshop! For the first time, all of this creation business actually makes sense! Jutta has a real gift of understanding complex interdependencies, and to explain them in a clear way. Quantum Jumping now feels much more logical and doable. 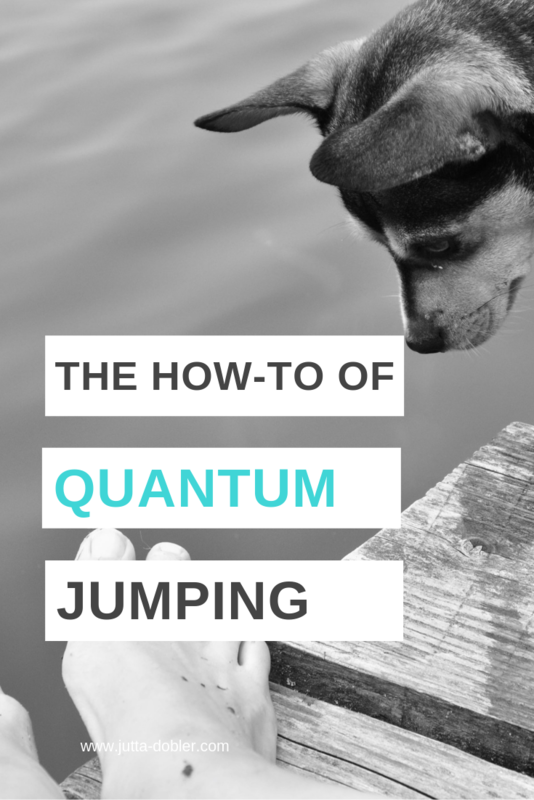 The science behind quantum jumps. Understanding things on an intellectual level will make it easier to trust in the process and allow for the shifts to occur. The truth about consciousness, time, and what determines which reality you create. THE main false premise we hold that makes reality creation much more difficult than it needs to be. How to recognise that you have shifted. You are a powerful creator, and all that you desire is available for you. The only one who ever stood between you and anything you want is YOU! Struggle is always self imposed, no matter what it looks like. Are you willing to allow it to be easier? Yes? Then ‘Leap’ is a great start to shift your perspective and get the ball rolling. Plus, Quantum jumping is such a fun thing to do! *Before payment, you are asked to create an account that will allow you to access the workshop. By enrolling into the course, you agree to the Standard Terms & Conditions.